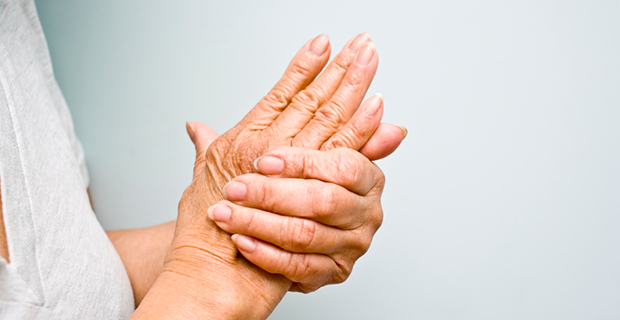 As we age, many of us start to feel pain in certain joints, particularly in the hands, hips, knees, feet and spine. This is especially common in women. A doctor might make the broad diagnosis of arthritis, an inflammation of the joint that causes pain and stiffness, but do you know that there are at least 100 different types of arthritis that fall under this very broad umbrella? Rheumatoid arthritis, an autoimmune disorder of the joints that usually begins between the ages of 30 – 50 years, is also quite common. Symptoms include swelling, redness and a feeling of warmth that usually begin in the small joints of the fingers, wrists and feet. More common in women than men, this condition can be very disabling, affecting one’s ability to work and lead a normal life. Chiropractic care has been shown to be effective both in preventing arthritis from occurring in the first place and in reducing pain and lack of mobility in those who already have the condition. How? When a person has arthritis, pain keeps them from moving. Lack of movement reduces the use of the joint and decreases range of motion, which makes the condition worse. Chiropractic adjustments help to increase mobility in the joints, causing more movement and a reduction in pain. This increased joint movement also will help to slow down the progression of the arthritic condition. Individuals that begin experiencing relief from pain no longer have a need for over-the-counter and prescription pain relievers that can have harmful side effects. Research published in medical journals have shown that as many as 10,000 deaths each year can be attributed to taking Tylenol medication as prescribed. Chiropractic care can also help to prevent arthritic conditions because it encourages specific behaviors and habits that contribute to an overall healthy lifestyle, such as diet, proper weight maintenance and exercise. In addition, chiropractic adjustments help to keep the spine and the nervous system properly aligned, which controls the immune system and assists it in functioning at an optimal level. And… a healthy immune system helps to ward off all types of devastating illnesses, including arthritis. If you or someone you know is suffering from painful arthritis call our office today at (519)736-5353 for an appointment. We do not require referrals and most insurance plans include benefits for care.